Sweet Virginia, directed by Jamie M. Dagg, is a decent thriller with strong performances by Jon Bernthal and Rosemarie DeWitt that's undermined by one pretty noticeable bit of miscasting. A brutal triple murder shocks a small town in remote Alaska. Former rodeo champion Sam (Bernthal) runs the Sweet Virginia motel in the area and was having an affair with Bernadette (DeWitt), the wife of one of the murder victims. 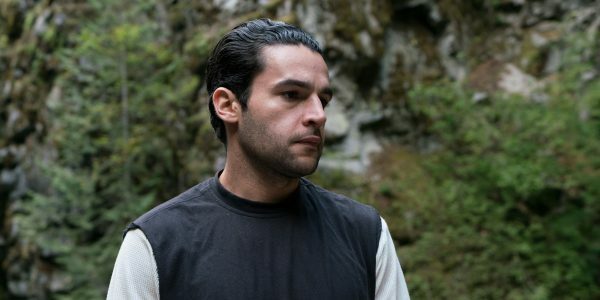 The hired killer, Elwood (Christopher Abbott) is hanging around town waiting for his money and ends up befriending an oblivious Sam. Abbott's performance as Elwood is by far Sweet Virginia's weakest link, to the point where he brings down the whole movie with him. Elwood as a character has some interesting quirks. He's meant to be unnerving and unpredictable, but Abbott fails to bring the level of menace and tension needed to make the character work. He seems more like a weird roommate you'd rather not talk to then an unhinged killer. There is one scene in which Abbott's performance works well - when talking to Lila (Imogen Poots), Elwood misreads her intentions and awkwardly tries to ask her out. It's an uncomfortable moment that gets a bit of a laugh and fits the awkwardness that Abbott brings to the role. Apart from that, he simply wasn't the right choice. Fortunately, Sweet Virginia does have more going for it, such as the relationship between Sam and Bernadette, which eats up a good amount of the movie's runtime. Bernthal and DeWitt have good chemistry together and they're given fine material to work with as well. Both characters feel guilt over their affair in the wake of the tragedy, with Bernadette wondering if the fact she was practically estranged from her husband makes it okay. As for Sam, he has his own share of emotional baggage to sort through - the loss of a promising career as a rodeo champion due to an injury as well another, far more personal tragedy have left him somewhat broken. 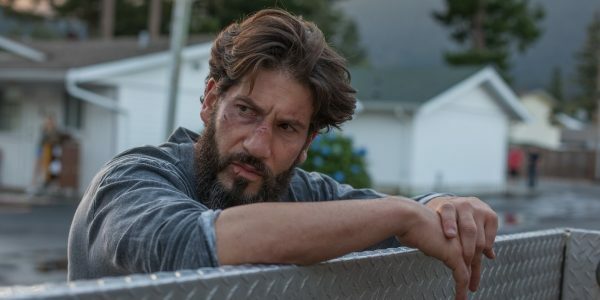 Bernthal plays somewhat against type here - despite his imposing physical presence, Sam is meek and unsure of himself - he can't even stand up to a rowdy motel guest. By stripping away the aggression that has such a fixture of some of his most well-known performances, Bernthal really exposes and highlights Sam's emotional vulnerability. Sweet Virginia is at its best when it focuses on either Sam, Bernadette or the two of them together. There are also a few pretty solid scenes between Sam and Maggie (Odessa Young), a daughter figure for Sam to play off of. Any time Elwood is on screen is usually when the movie loses its footing and becomes dull. The final confrontation between Sam and Elwood falls pretty flat. There's little to no tension due to Elwood not having enough menace and the dynamic between the two characters isn't compelling that would make it dramatic or meaningful. The most noteworthy aspect of the movie's climax is the quite literal use of Chekhov's Gun. Sweet Virginia isn't terrible, but it is a great example of how one bad piece of casting can bring a whole movie down. A truly terrifying Elwood would have greatly elevated this thriller. As it stands, it's merely decent, thanks to strong character work and good performances from the rest of the cast. The relatively short 100 min run-time also works in its favor. Sweet Virginia is out on DVD on 15 January, 2018 courtesy of Kaleidoscope Home Entertainment.